Foramlin preserved mice. Available in pails. 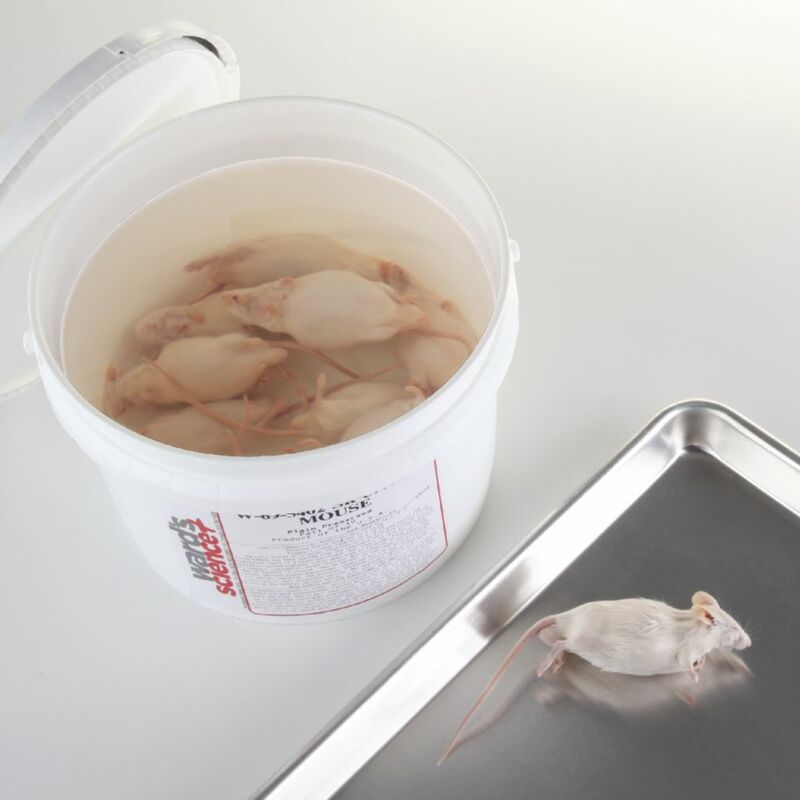 Our preserved mice, Mus musculus, allow students to learn about vertebrate anatomy and mammalian physiology in a hands-on capacity. The specimens are fully developed and show mature organs and organ systems. Students can investigate mammalian musculature and skeletal systems and practice their dissection skills with these preserved specimens.